The best monitor for a gaming PC should be extremely bright and have a lightning fast response time. The size of the screen is also important, not only for desk size considerations but also based on the capabilities of the PC's video card. It used to be that shopping for a new computer monitor meant looking at just the price and size, or maybe pick between a 4:3 or 16:9 aspect ratio. Nowadays you have to look at whether or not get a monitor with 3D support or even touch screen capability. Whatever it is you're shopping for, here we will look at some of the best gaming monitors on the market today. Resolution – This is how many total pixels the monitor can display at one time. Don't buy any monitor that supports less than 1920 x 1080 unless the total display is under 20 inches. Response time – This is how fast the monitor redraws things on the screen. If you play a lot of fast-paced games like shooters, then the lower numbers are better. Most high end monitors these days have a 2ms (millisecond) response time. For gaming, it's best to avoid anything higher than 5ms. Refresh rate – This is how quickly the monitor can redraw the entire screen. Lower refresh rates can result in a flicker effect, and for gaming 120 Hz is best. Beware of many cheaper monitors that only offer 60-75 Hz refresh rates. Some higher end large HDTV's also supporting 240 Hz, but I don't recommend them as gaming monitors unless you plan to sit across the room from the screen. See 'Screen size' below for more info. Contrast Ratio – This number is the difference between the whitest white and the blackest black. The higher the number, the better the color performance. Don't get anything less than 1,000:1 and watch out for cheaper monitors that often skimp on this feature. Brightness – You'll see this rating expressed as XXXX cd/m2, which is a measure of light. The higher the number, the better the picture. You want at least a 250 cd/m2 or higher display. LCD vs. 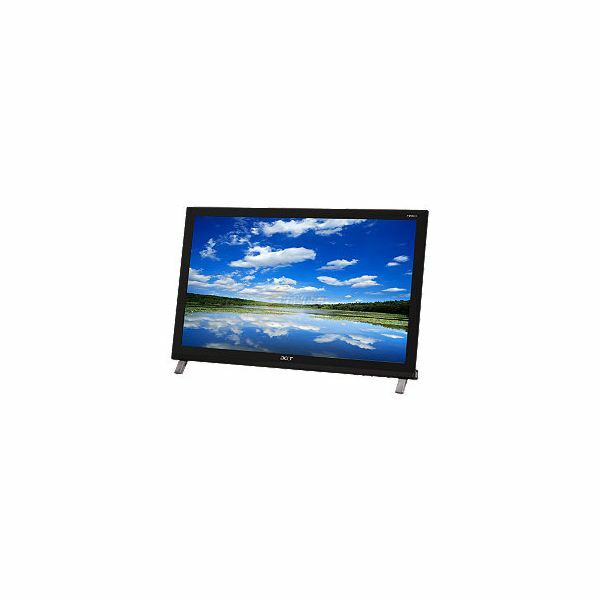 LED – If you can afford the difference, always choose LED over LCD monitors. For a better explanation, read this LCD vs. LED article on the differences between the two technologies. Screen size – Don't be tempted to buy a 55" HDTV and think you'll get good game performance out of it. The reason for this is that those larger format displays tend to have much slower refresh rates (unless it's an expensive high end model) and often run at the same resolution as the smaller ones, which means the image won't look good up close. As of this writing, the best gaming monitors are 27" or smaller. Another thing to keep in mind is that manufacturers have massive lattitude in how they measure some of these, particularly response time. A monitor by a brand you have never heard of with out of this world specs and an unbeleivably low price needs a lot of further research before you plunk down any of your cash. Practical-home-theater-guide.com did an interesting study (link below) on manufacturer specifications for various different models and found that often those inflated numbers don't amount to anything and it's the video source to blame for the picture problems. Viewsonic VX2450WM-LED (pictured) – The Viewsonic brand has been around for decades and have long been well regarded among computer users. 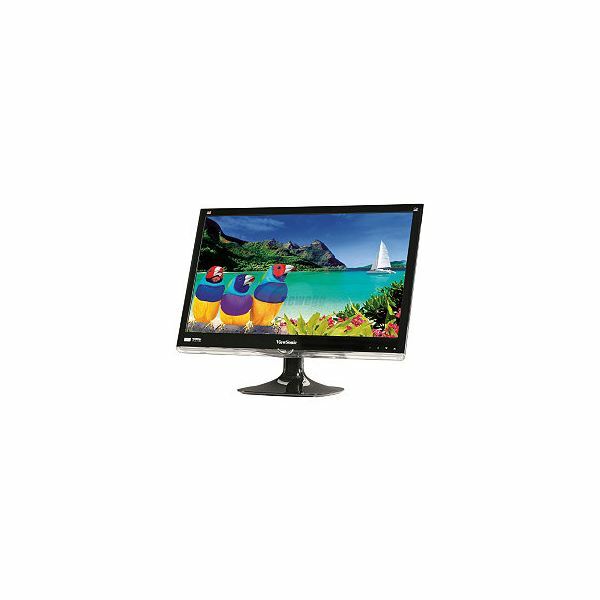 This excellent 24" widescreen monitor features LED backlighting, a 1920 x 1080 native resolution, and a 5 ms response time. It also has a 20 million to 1 dynamic contrast ratio, which is amazing. Although the response time could be a bit better, this is still an awesome buy for just $189.99 on Amazon.com, and it includes built-in speakers. Planar SA2311W – While the Viewsonic above is a solid monitor, this model from Planar offers more impressive tech specs for about $300. 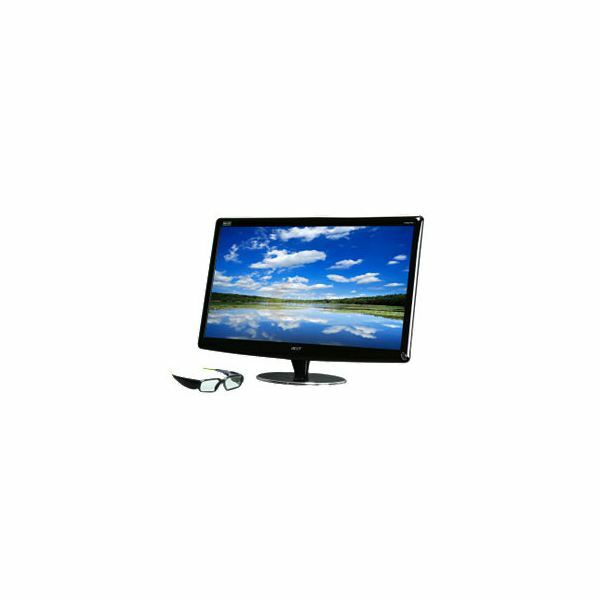 This 23" widescreen display has a 2ms response time combined with a 120 Hz frame rate, so it's about as fast as a display gets. It's also 3D-ready, should you choose to jump in on that type of gaming in the future. Acer HN274Hbmiiid (pictured) – Imagine 3D gaming on a 27" HD monitor. Are you drooling yet? This huge LED monitor is certified to support NVidia's HDMI 3D, thus making it perfect for Blu-ray movies or the latest 3D-supported games. It features a 1920 x 1080 native resolution, and an adaptive 100 million to 1 contrast ratio. As an added bonus, it comes with a pair of 3D glasses. As of this writing, it retails for $579.99 on Newegg.com. Samsung S27A750D – If you've got $600 to spend, you should also consider this 27" 3D monitor from Samsung. It features almost exactly the same tech specs as the Acer but has a lesser contrast ratio. It also does not include 3D glasses, which can be an expensive addition when purchased separately. Samsung backs it with a 3-year warranty, so if you've got the cash and want to go for the bigger brand name, this is the one to get. Acer T231H (pictured) – For $328.99 on Newegg.com, one of the most highly rated and reasonably priced touch screen monitor is the T231H from Acer. It's a 23" widescreen display with built-in speakers, a native resolution of 1920 x 1080, and a super fast 2ms response time. Acer backs it up with an impressive 3 year warranty on parts and labor. Asus ML228H – For a 22" widescreen touch screen monitor with excellent tech specs from a trusted brand, it's hard to believe that this model sells for just $154.99 on Amazon.com. It has the same resolution and response time as the Acer listed above, and is also backed by a 3 year warranty. It does have a slower refresh rate, though. Also, this model has no DVI port and instead makes you use an HDMI to DVI adapter cable. If your video card supports HDMI, then you've got nothing to worry about. Overall, it may not be quite as good as the Acer, but it costs less than half as much. While shopping for a new monitor, keep in mind that a bigger display won't give you better graphic performance if you don't have a good video card in your PC. If your games tend to run slow and choppy, upgrading to a bigger monitor won't help at all, and moving to a higher resolution will slow things further. Instead, you'll also need to upgrade or replace the video card to get the most out of your new display. Also make sure that you use either the DVI or HDMI inputs on the display, as opposed to the old VGA connector, to get better image quality and faster performance. Furthermore, some video card upgrades also require a power supply larger than what most manufacturers include in a store-bought PC, so you'll need to buy a bigger power supply and make sure it is compatible with your motherboard, and will fit in your case. If this all sounds complicated and expensive, you now know why console gaming is so popular. However, if you're willing to invest in the hardware, your PC games will look and play better than anything you'll see on a PlayStation 3 or Xbox 360.